The hardest thing about switching from flat pedals to clipless for most folks is probably the associated anxiety. What if I can’t get out in time? What if I can’t get in? What if I crash, or can’t unclip and get lobotomized by my rear wheel? All of which are valid concerns. There are ways to mitigate these thoughts, though, for an easier transition to clipless pedals. If you are considering making the move from freestyle feet to locked and loaded, read on. We have a few tips for you. One of the first intimidating aspects of switching to clipless is finding the right shoes, cleats, and pedals. With flat pedals, it’s possible to turn the cranks wearing high heels, Giro flat pedal shoes, or Crocs, but not so with clipless pedals. 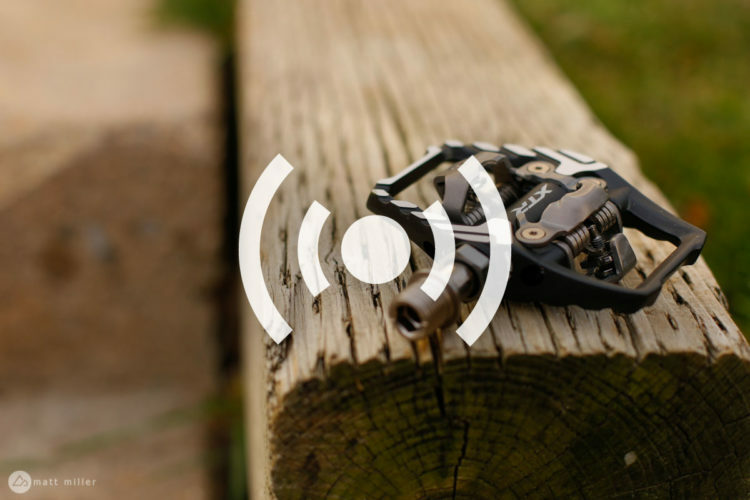 There are different types of clipless pedal systems, not all of which are compatible. A shoe with an Shimano SPD cleat attached. Photo: Brian Gerow. Fortunately, it’s not all that confusing. When you purchase a set of clipless pedals, compatible cleats (the small metal pieces you attach to your shoe) are included in the box. Many pedals are SPD-compatible, which stands for Shimano Pedaling Designs. These will work with all Shimano pedals, as well as pedals from other brands like Wellgo and Look. 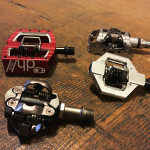 Pedals from Crankbrothers use a unique cleat system, so it’s not possible to use these cleats with pedals from Shimano or any other brands. Time is another brand that uses a proprietary cleat system. 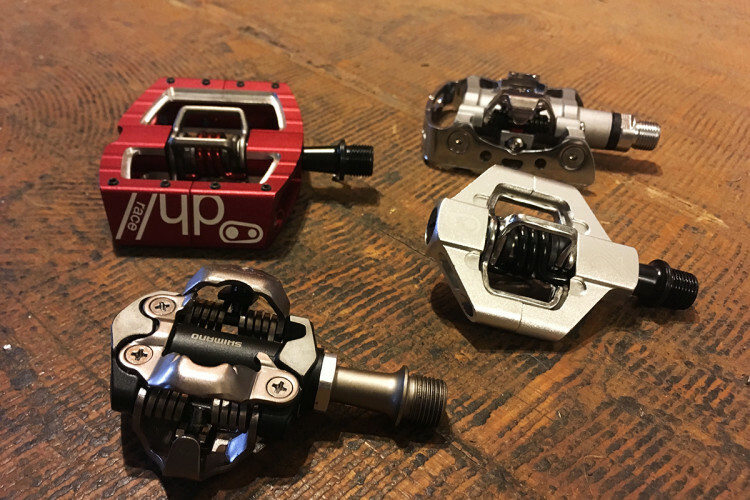 If you have multiple bikes, it’s generally a good idea to run compatible pedals so you’re not constantly swapping cleats on your shoes. 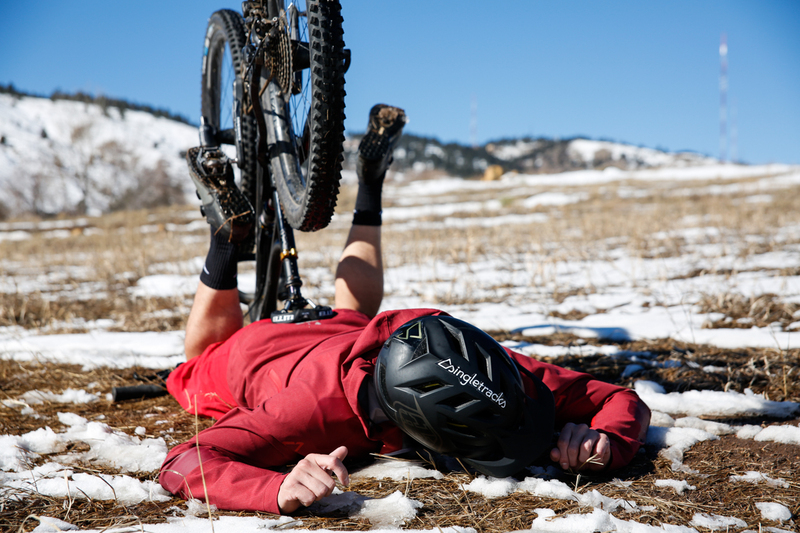 And before you hop onto someone else’s bike, make sure your cleats are compatible with the pedals to avoid injury or damage to the cleat retention mechanism. Most Shimano, SPD-compatible, and Time pedals feature adjustable tension settings. With a small hex key, the user can add or lessen the tension required to clip in or out of the pedal. By adding tension, it becomes more difficult to engage the shoe with the pedal, but is also tougher to get the shoe to disengage, which helps keep feet firmly attached to the pedals through rough terrain. CrankBrothers pedals and cleats are easy to recognize due to their design. The retention wings on CrankBrothers are four-sided for easy entry, unlike Shimano pedals, which offer two-sided engagement. 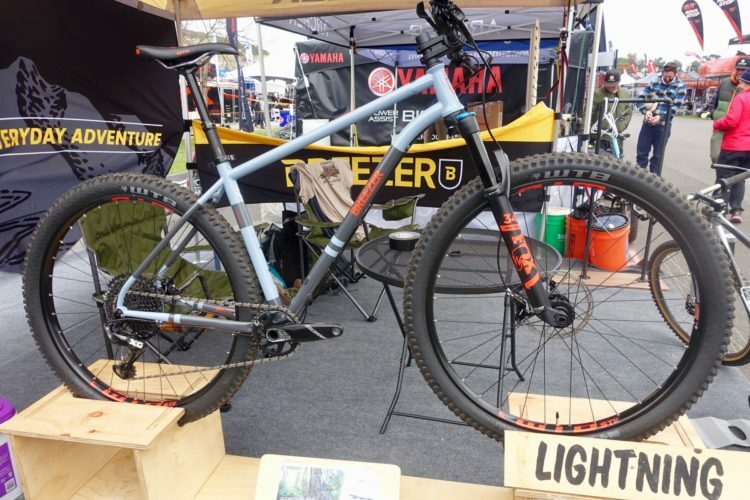 CrankBrothers pedals do not offer tension adjustment. It’s easy to find pedals for any style of riding. Shimano, CrankBrothers, and others make pedals for enduro and gravity with big platforms, like the Mallet pictured above. 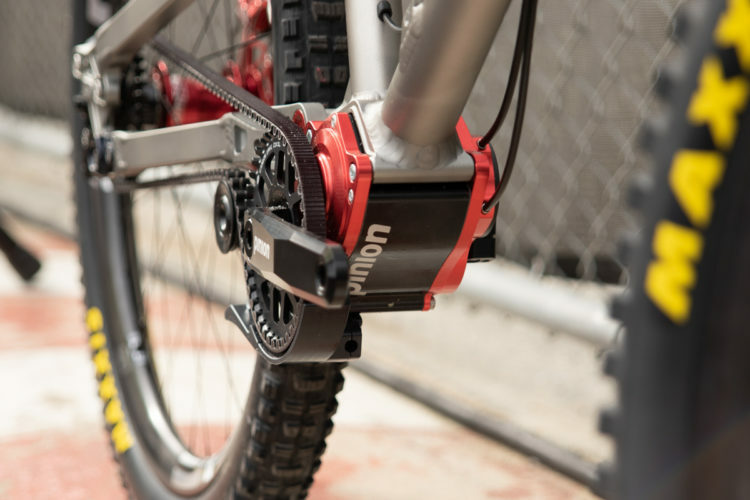 Likewise, light-duty pedals like the CrankBrothers Eggbeaters or Shimano XTR PD-M9000 are suitable for cross-country, and there are plenty of options in between. 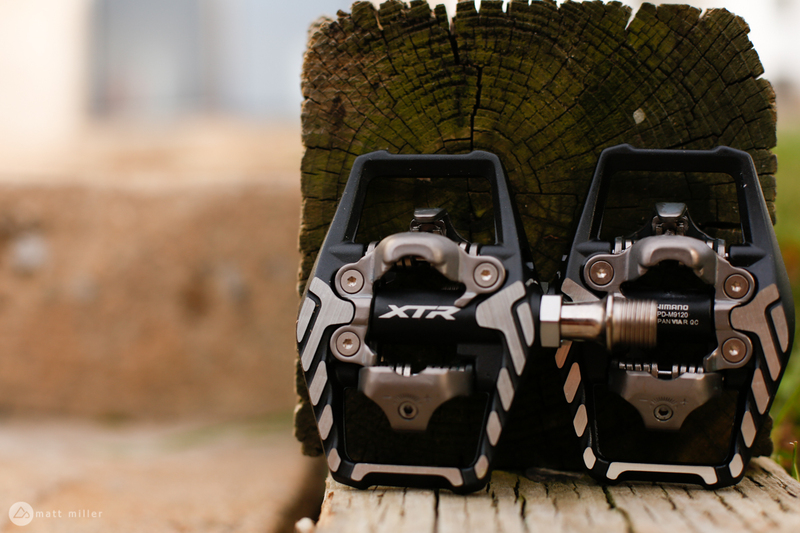 The Shimano XTR M9120s pictured above are a great pedal for trail and aggressive trail riding. A CrankBrothers cleat. Photo: Jeff Barber. 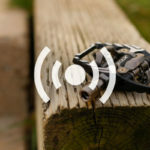 There is no tension device on CrankBrothers, but the brand does sell cleats that will release earlier than others with the intent of making clipless conversion easier. These cleats have very little room for the shoe to rotate on the pedal before they disengage. This is known as the float. CrankBrothers also markets 0-degree cleats as better for XC riders who want tighter engagement and improved efficiency, and cleats with more float for gravity riders who want more body input in corners or for riders with knee problems who need their knees to turn with their ankle while cornering. 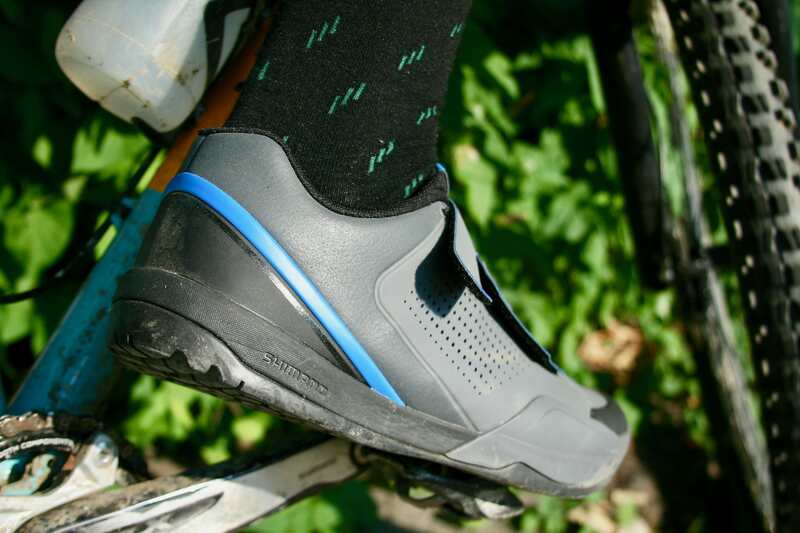 Shimano and Shimano-compatible cleats, like the cleats pictured above on the Ion shoe look kind of like a spade. They are also offered in various float options. Cleats are designed with a softer metal than the cleat retention device in the pedal, since one or the other will wear out eventually. Depending on how much someone rides, it could be necessary to swap out cleats once a year, or a handful of times. It should also be said that picking between Shimano or CrankBrothers is largely a matter of preference. Some may like the wider adjustability of Shimano, and might find unclipping easier. 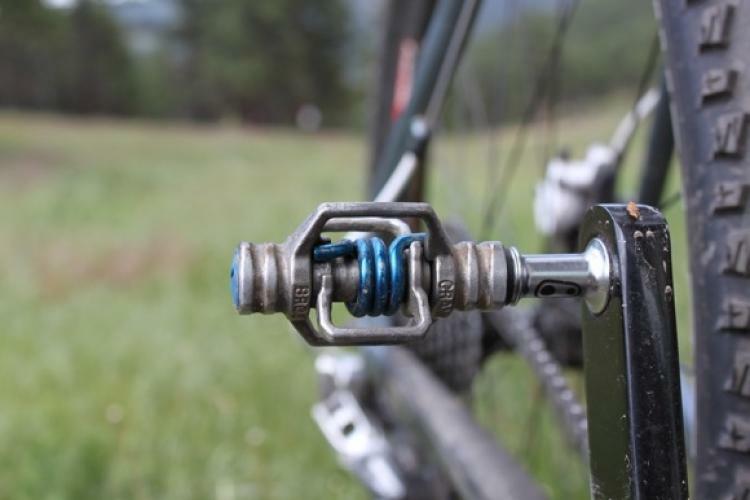 CrankBrothers offer a simple, durable design that can be easier to engage. Both have their pros and cons, so try not to worry about them too much. Clipless mountain bike shoes have come a long way. For a long time, the only clipless shoes out there looked like they were made for Lycra-laden, XC riders. There are loads of clipless shoe options now for anyone, whether they ride short-track XC or World Cup downhill. 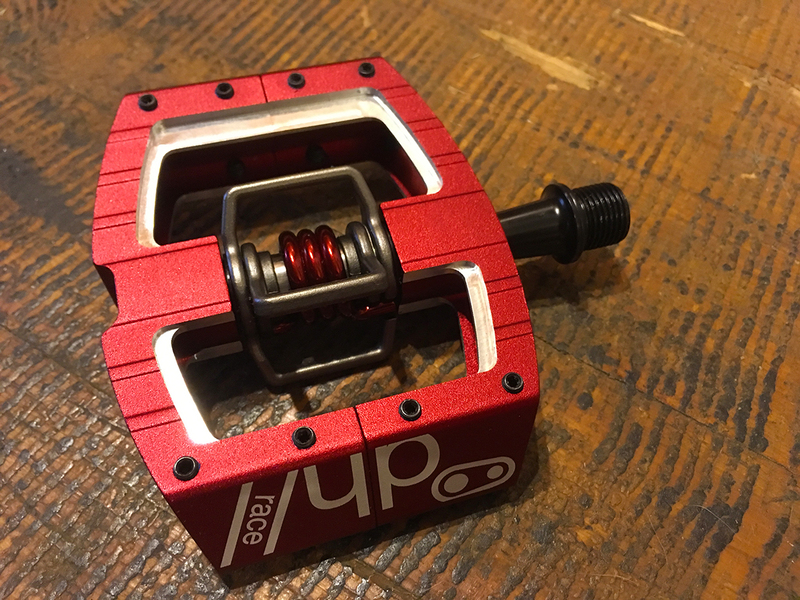 Clipless shoes also come down to a matter of preference, and really you just need to make sure that they will fit, look good to you, work for your style of riding, and have the two-bolt design that allows Shimano or CrankBrothers cleats. Now, for the hard part (don’t worry, it’s not that hard). When I started mountain biking, I rode flat pedals. It seemed simpler, and I felt that I could continue improving skills that I learned from riding flat pedals on BMX as a kid. As time went on, I grew more curious about the benefits of riding clipless, and when I was buying a new bike one summer, I went all in on switching to clipless and bought new shoes and pedals too. New bike, new me. I started asking friends what I could do to make the transition easier. “Practice, practice, practice,” they said. So, practice I did, but I started off small. After installing the pedals, and bolting the cleats down on the shoes, I leaned my bike up against a wall and hopped on the saddle. I wanted to get a feel for how the shoes engage and disengage with the pedals. I dipped my toes down, slid them forward on the pedal, and pushed down with the ball of my foot. Click. To get out, I practiced sliding my heel away from the bike. Then I repeated both of those movements a bunch of times. Once I felt confident getting in and out, it was time to try it out while pedaling. I took the bike out to my apartment parking lot and rode it around, coming to a stop, knowing to twist my heel out as I pulled the brake levers. I have heard of other riders practicing this in a lawn or yard to soften any falls. It only takes so long before this process gets boring, and you’ll need to go practice on the trails. Personally, I found it easier to start on less technical trails where bailing on features wouldn’t be an issue. 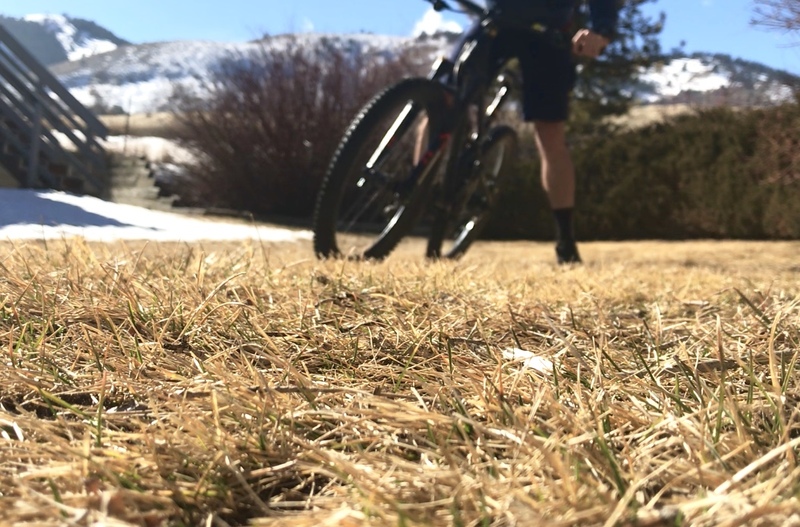 Mild and buff singletrack that you’re comfortable with is the best place to start. Muscle memory happens quickly, and clipping in and out becomes second nature. The next step in the process is to ride. I’ve never had any real bad experiences crashing when riding clipless. Usually, my feet come out of the pedals without thinking, and getting out in time to put a foot down has become second nature. Like I mentioned above, moving to clipless can be a commitment to learn at first. Devote some time to it, practice on a wall, practice on the grass, and practice on the trails. You’ll have it down in no time. I was thinking this myself. This summer I’m planning on doing a lot more riding on flats to try to break some of the bad habits I’ve developed over 25+ years of riding exclusively clipless. Same comment. I’ve been transitioning back to flats. Not so easy. I just ordered shoes and clipless pedals and will be making the transition this week. I’m a little nervous. Thinking about wrapping myself in bubble wrap the first time out. Thanks for the article and advice. To get out of SPDs easily, the secret word is Pledge. Use a little spritz of furniture polish on each mechanism. It doesn’t collect much dirt and lasts for months unless you ride through water often. Another thing the article missed or barely touched on… In 25+ years of riding exclusively clipless, I’ve NEVER had pedals fail to release during a crash and take a tumble with the bike. I’ve had more than a few 0 mph fall overs on technical climbs when I tried to keep the pedals turning waaaay too long (never even tried un-clipping. In my last high speed crash (lost the front wheel in a loose, off-camber turn) my elbow and hip took most of the impact. My foot un-clipped during the crash, but had no bearing on the crash; I was on the ground so fast I didn’t even have time to get my hand off the bar (it only came off to push off the ground, my glove was completely in-scathed). “Muscle memory happens quickly, and clipping in and out becomes second nature. The next step in the process is to ride. I’ve never had any real bad experiences crashing when riding clipless. 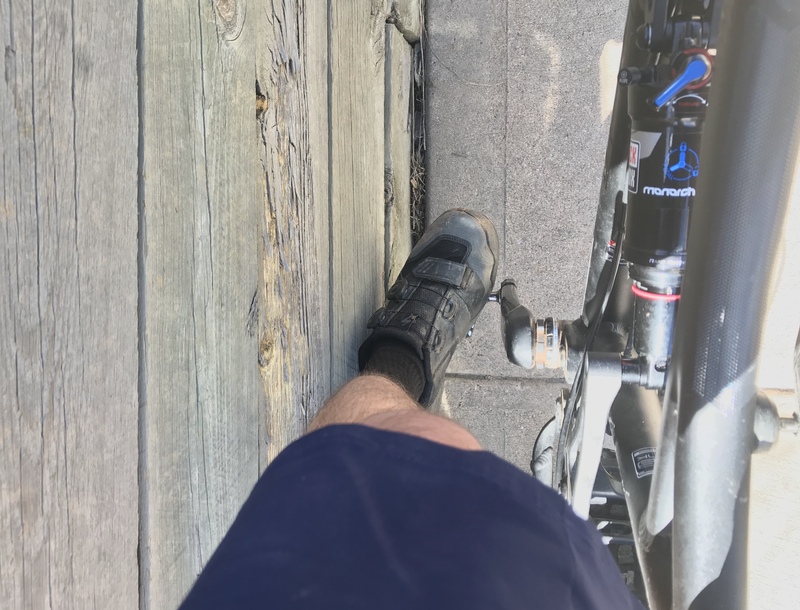 Usually, my feet come out of the pedals without thinking, and getting out in time to put a foot down has become second nature.” Phonebem, this is my second to last sentence, but a good point to reinforce. 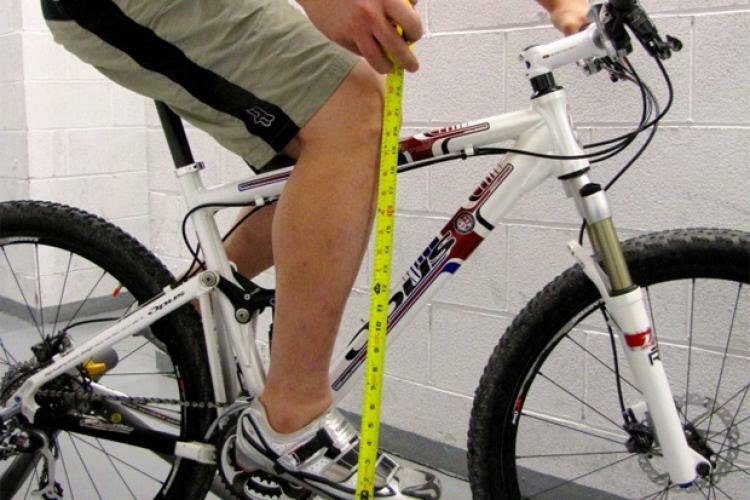 Very good point about getting a bike fit. I’d really love to know why pedals with clips/cleats are called clipless. 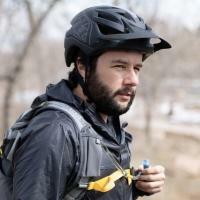 Confuses the heck out of non-mtbers. I’m sure there’s a reason for it but it seems pretty illogical lol. 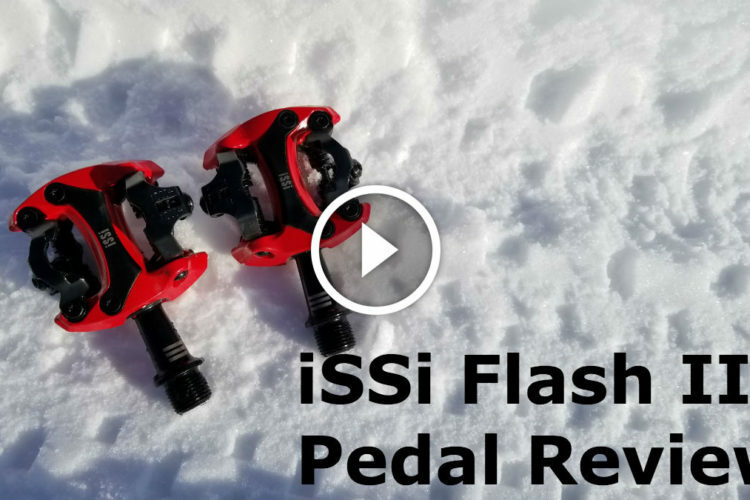 We actually just talked about this in a recent podcast episode about mountain bike pedals. The short version is, before the cleat system, riders used straps or “toe clips” to keep their feet on the pedals. 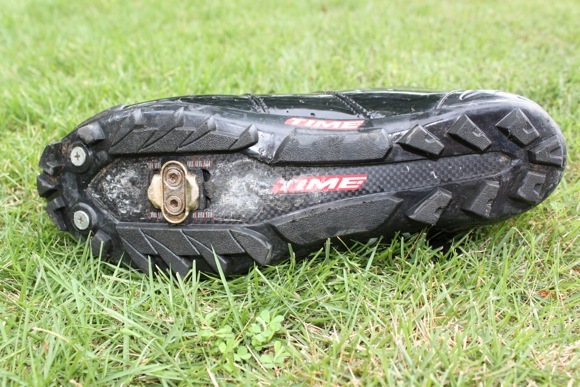 So the newer cleat system allowed riders to secure themselves to pedals without toe clips, therefore they were called clipless. But yes, we all “clip into” our clipless pedals, which is confusing.